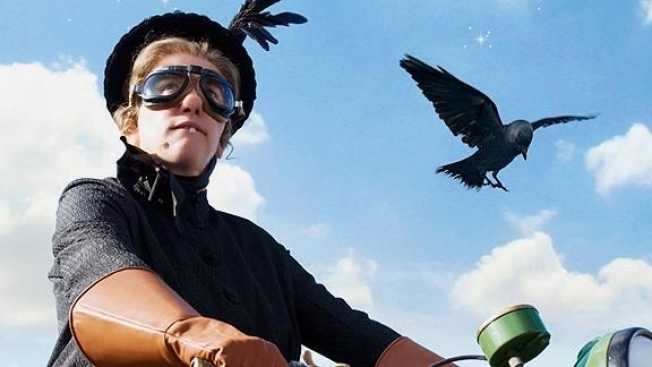 PopcornBiz Takes a Nanny to "Nanny McPhee Returns"
"Nanny McPhee Returns" finds Isabel Green (Maggie Gyllenhaal) trying to take care of five kids, keep her farm afloat and help Mrs. Docherty run her store all while her husband is off fighting the Nazis. Suffice to say, Isabel is in way over head. As luck would have it, a mysterious and rather ugly woman shows up on her doorstep to help. As it unfolds, a cute children's story is regrettably muddied by the presence the title character -- if you can ignore the "magic," most of it the very beginning and very end, it ain't half bad. Watching the first 15 minutes of the film, it's difficult to like or feel sympathy for Isabel or her three kids, Norman, Megsie and Vincent. And when cousins Cyril and Celia arrive on the scene, things only get worse. The children are monsters -- undisciplined, bratty, spoiled, lazy, stupid, mean, cruel -- none of them are all those things, but each kid can lay claim to at least three. And when Isabel isn't screaming ineffectually, she stands there mute and bewildered. It's no wonder she feels overwhelmed. But once things settle down, the film turns into an occasionally sweet and touching story about a family struggling with the hardships of war. Unfortunately, this story is occasionally interrupted by Nanny McPhee and her magical shenanigans, like having pigs do synchronized swimming or spinning wheat into a some sort of fireworks display. Why, exactly, is anybody's guess. Maggie Gyllenhaal stars as a mother overwhelmed by taking care of five kids and a family farm during WW II. But she is visited one night by a mysterious stranger whose come to help her. 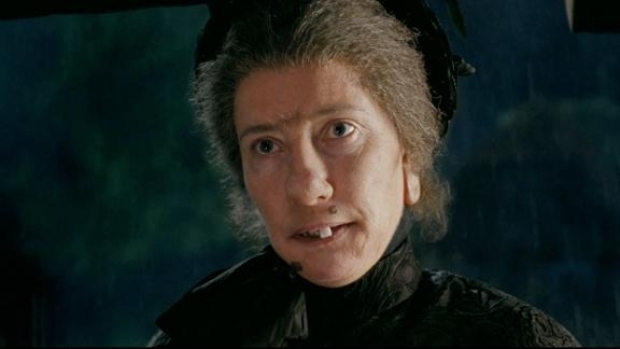 Emma Thomson is a gifted actress, but her Nanny McPhee relies so heavily on magic, special effects and obnoxiously obvious "lessons" delivered straight to the viewer, that it's hard to enjoy her. Gyllenhaal is also tasked with a thankless role, her Isabel seemingly overmatched at every turn without a husband or magician to keep her head above water. She's a talented actress playing a poorly drawn role. Rhys Ifans as Phil looks eerily like a young Jimmy Caan. Phil is Isabel's ne'er-do-well brother-in-law who is desperate to sell the farm, lest he buy the farm. Phil, you see, has massive gambling debts and two menacing women out to collect his money or his kidneys. Ultimately the film is weighed down by dumb jokes, unnecessary special effects, simplistic moralizing, kids who flip from monsters to angels at the bang of a cane and unwanted facial hair and moles. If your child somehow gets it in his/her head that he/she wants to see "Nanny McPhee Returns," well, there are worse fates -- "Marmaduke," for instance -- but it lacks the "you don't have to have kids" magic of your better kids' movies.